Black Lion Audio has introduced a 500-format version of the B12A mkII mic preamp. Radial is now shipping the McBoost, a signal booster for low output dynamic and ribbon microphones. 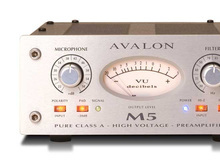 N-Audio has recently launched a new Class A tube mic preamp with vintage sound and modern features.